(Natural News) The problem we have with diabetes isn’t going away anytime soon. Based on the latest data from the World Health Organization (WHO), more than 400 people around the world have the condition, and 1.6 million deaths per year are directly caused by diabetes. The most common is Type 2 diabetes. In the past three decades, reported cases have skyrocketed. To make things worse, at least one in three adults over 18 years old is overweight, which increases the likelihood of getting the disease. That said, there isn’t a lack of literature on how to manage diabetes; however, most only talk about living with the condition. 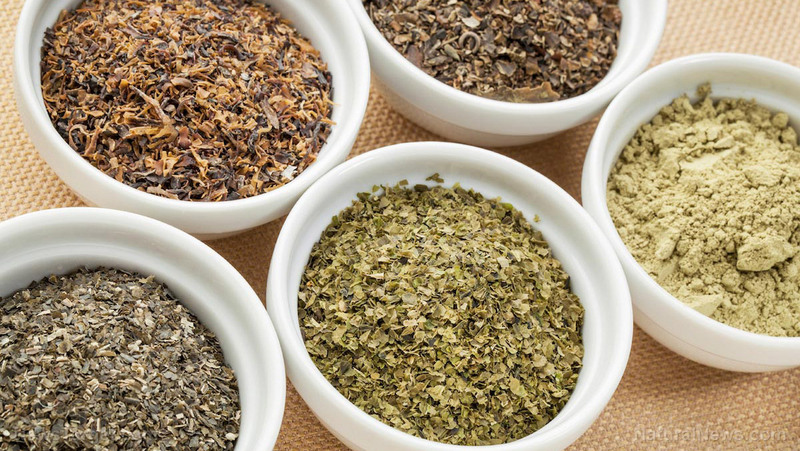 An article published in the Journal of American Herbalists Guild looked at taking it a step further by using herbs to maintain a metabolically normal state. Ivy gourd (Coccinia indica) – The plant, which is traditionally used in Ayurvedic medicine, is used in India to treat diabetes. Multiple studies have also noted its ability to prevent glycemia – the unusual amount of glucose in the blood – with no adverse effects. Panax ginseng – Studies have shown that P. ginseng, commonly referred to as Korean ginseng, can help with glucose transport, which allows it to be better absorbed by cells. It was also found to strengthen the effect of administered insulin. People with existing hypertension and acute asthma, however, are advised to avoid P. ginseng as it may cause overstimulation, headaches, and insomnia. American ginseng (Panax quinquefolius) – Clinical trials have found American ginseng to decrease both fasting blood glucose and postprandial glucose (the amount of glucose after a meal). It was also found to reduce HbA1c, which is a biomarker for increased blood sugar levels. Cinnamon (Cinnamomum cassia) – The spice is well known for its anti-glycemic properties, with some studies indicating that it increases the potency of insulin. Others also suggest that it induces insulin production in the pancreas through beta cells and converts them from bound to free form. Psyllium seed (Plantago ovata) – Studies have shown that psyllium seeds can dramatically reduce postprandial blood sugar levels in people with Type 2 diabetes, based on both human trials and animal models. To take advantage of its effects, experts recommend taking 10 to 15 grams a day. This could be taken three times a day before meals or twice per day before eating breakfast and dinner. Unlike other herbs which affect insulin production, the anti-glycemic effects of psyllium seeds target the contents of the intestine: It increases their viscosity, which prevents intestinal absorption and speeds up their movement in the stomach and bowels. Always drink enough water when taking in psyllium. Fenugreek (Trigonella foenum-graecum) – A staple in Mediterranean cooking, fenugreek is proven to be an anti-glycemic both by itself and with other plants. Studies have shown that fenugreek has similar glucose-inhibiting properties with that of traditional Indian medicinal plants. In addition, trials have demonstrated the herb’s ability to improve glycemic control and insulin sensitivity, with no negative side effects reported. There are conditions other than Type 2 diabetes that can be treated naturally: Head to Herbs.news and learn more.